After driving out of the snow falling in Philadelphia, we made our way to the college town of Newark, Delaware. 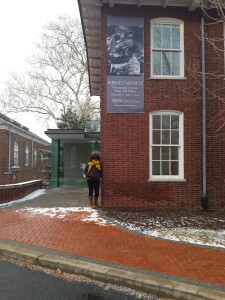 We found the Mechanical Hall Gallery on the University of Delaware campus, which houses the Paul R. Jones Collection of African-American art. 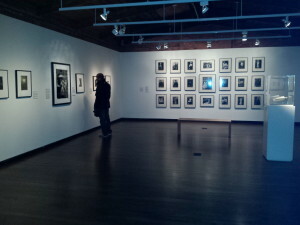 The exhibit on display for our visit was Forget Me Not: Photography Between Poetry and Politics. On display in this contemporary, minimalist gallery were black and white photographs taken by African-American photographers mostly from the 20th century. 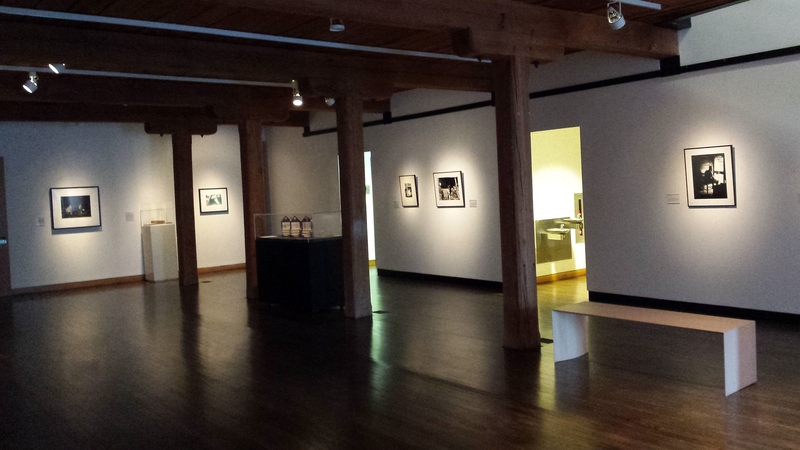 The gallery is divided into three rooms, and the first room housed mostly photos of African-Americans depicted going about their daily lives in rural settings. 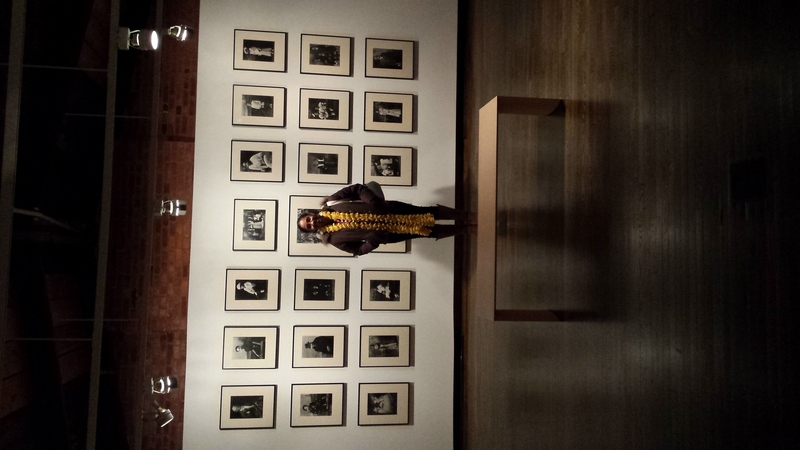 My favorite photograph from the exhibit was in this room, titled “The Boss,” taken by Prentice Polk in 1932 as part of his Alabama portrait series titled “Old Characters,” with which he wanted to capture images of formerly enslaved people. The subject worked at the Tuskegee Institute Market, and according to the description charged Polk $1 to take her photograph. She stands in a dominant, powerful pose. 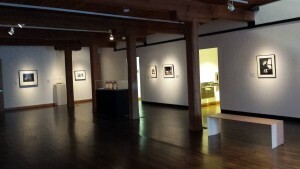 The second room housed photographs from more urban settings depicting lives of more privileged early 20th Century African-Americans. We even saw a photograph, also from 1932, of a man sitting in and a woman standing on the sidewalk next to an automobile both decked out in beautiful fur coats. The title of the piece is “Couple in Raccoon Coats,” and Harlem brownstones are visible in the background. 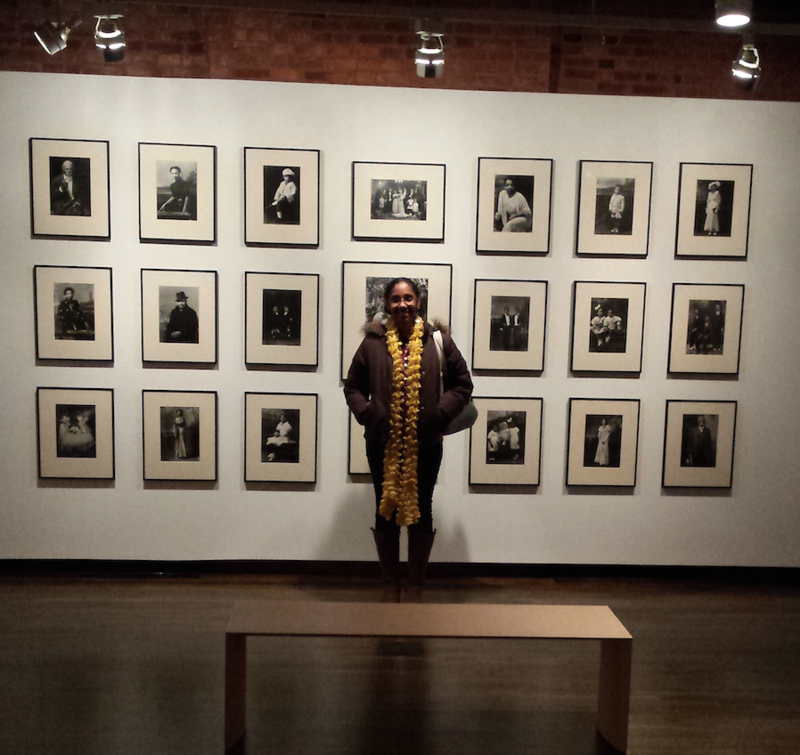 This room included an entire wall of early twentieth century, posed, in-studio photographs of men, women, and children in their Sunday best. 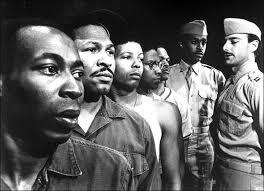 The third room included more recent works, including this photograph of the cast of the 1984 production of the play, A Soldier’s Home, which included none other than Samuel L. Jackson and Denzel Washington. Check back next Monday, May 4th, for the Mary McLeod Bethune Council House National Historic Site.